Democratic Massachusetts Sen. Elizabeth Warren has been shopping for office space in preparation to launch a challenge to President Donald Trump in 2020 and run for president on the Democratic ticket, according to a report released Monday. Warren’s aides have been privately scouring the commercial real estate market in the Boston-area in search of a place to house the Massachusetts senator’s presidential campaign headquarters, reported Politico. While Warren has not publicly confirmed she’s running, the infrastructure for her potential campaign has started to fall into place over the past few weeks. She also has amassed a sizable war chest following her successful run for re-election. 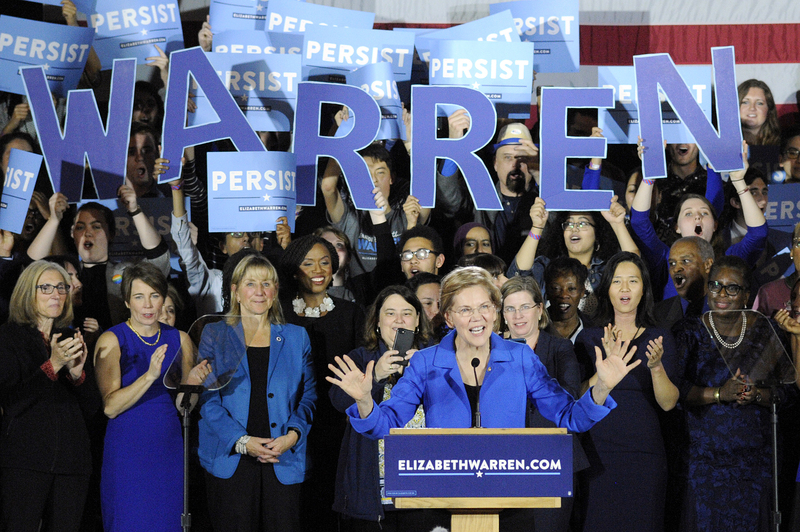 Warren, who said in June that she would not be running for president, seemingly flipped on her word and announced less than three months later that she would take a “hard look” at launching a presidential campaign following the midterms. During an interview leading up to her November election, Warren refused to commit to serving her full term in the Senate if re-elected. The list of Democratic senators who are mulling over their own challenge to Trump in 2020 is continuing to grow. Following midterm elections, Democratic Sens. Sherrod Brown of Ohio and Amy Klobuchar of Minnesota both announced they are considering a presidential run. Sen. Kirsten Gillibrand of New York acknowledged that she may be reneging on her promise to serve out her six-year Senate term if she runs and is elected to the position. Other Democratic senators who are rumored to be planning a presidential run include: Sens. Cory Booker of New Jersey, Bernie Sanders of Vermont and Kamala Harris of California. Democratic Sen. Jon Tester of Montana predicted that as many as “13 or 14” senators could end up running. Warren’s office did not respond to The Daily Caller News Foundation’s request for comment.